Just before Jesus began his earthly ministry, he travelled to the Jordan to be baptized by his cousin John. As soon as he came up out of the water, the heavens opened, the Spirit descended, and God spoke. “This is my Son, whom I love; with him I am well pleased” Matthew 43:17 NIV). 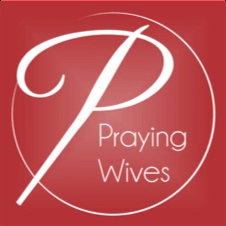 Brand new this year, I have an app available on iTunes called Praying Wives. With this app for Apple devices you’ll get a scripture and a prayer for your husband for 365 days. You’ll be equipped and empowered to begin the daily habit of covering your husband in prayer from head-to-toe each day. These prayers will strengthen your marriage, deepen your personal prayer life, and cover your husband from head to toe—in ways that will lift not only his spirit, but yours as well. Also, check out the book, Praying for Your Husband from Head to Toe. He’ll thank you for it!